The statistical blog FiveThirtyEight is best known for founder Nate Silver’s spot-on political predictions. (And, now that it’s owned by ESPN, for really nerdy football analysis.) But with the relaunch of FiveThirtyEight in March, it’s expanded its coverage beyond sports and politics and into things that really matter—like a statistical analysis of the work of Bob Ross. Bob Ross, in case you didn’t know, was the wonderfully gentle (and spectacularly permed) host of The Joy Of Painting, a show that taught young and old alike how to create the kind of artwork that looks really good in a wood-paneled den. 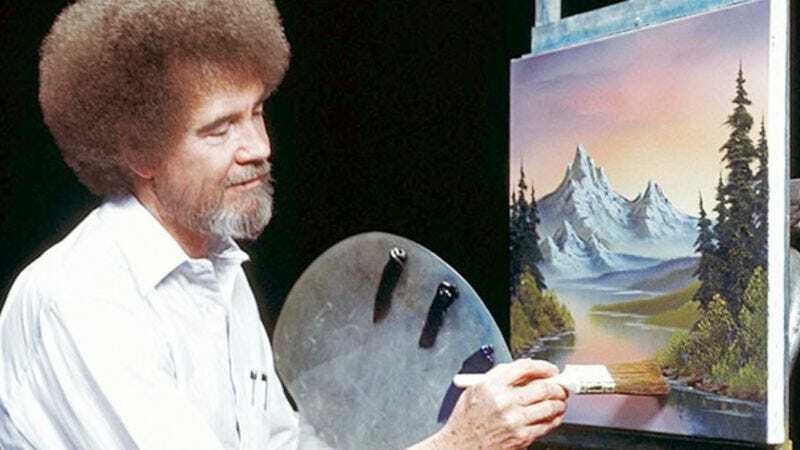 The Joy Of Painting ran for 11 years on PBS, and in that time Ross created hundreds of variations on his favorite theme: a serene natural landscape, sometimes snowy, sometimes not, but always ringed by his signature cluster of “happy little trees”.